CRIS is an interdisciplinary research team exploring the application of cannabinoids and cannabis derivatives to humans and animals, for health, disease, and disorders. The team is based in Saskatoon, Saskatchewan, Canada at the University of Saskatchewan. 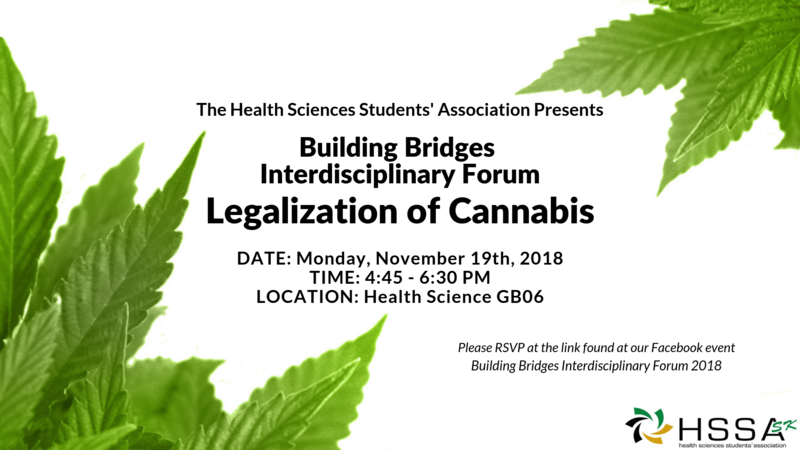 November 19, 2018: Legalization of Cannabis - Building Bridges Interdisciplinary Form - The Health Sciences Student's Association,. 4:45pm - Rm GB06 Health Sciences - University of Saskatchewan. November 7, 2018: RxFiles - Academic detailing - Objective information for clinicians. New links in this website on Cannabinoids and Medical Cannabis and Medical Marijuana Patient Booklet. July 12, 2018. U of S experts weigh in on cannabis legalization, On Campus News, University of Saskatchewan. Apr 5, 2018: Publication: Cannabis for the treatment of paediatric epilepsy? An update for Canadian paediatricians. RJ Huntsman et al. Mar 19-20, 2018: Indigenous inclusion in the hemp and cannabis industries: “Creating Sustainable Opportunities & Partnerships" Conference in Saskatoon with Dr. R. Laprairie & staff. Mar 8, 2018: Cafe Scientifique: Cannabinoids: Molecules, Epidemiology and Public Policy. Johnson Shoyama Centre for the Study of Science and Innovation Policy & CRIS. Univ. Sask. Jan 21, 2018: Poster Presentation: Vuong S et al. Development of a LC-MS/MS assay for bioactive cannabinoids in plasma of pediatric patients on cannabis oil therapy. Applications to the Clinical Lab (MSACL) 2018 US 10th Annual Conference, Palm Springs, California. January 21-25, 2018. Dec 19, 2017: SHRF funding approved for an "Inaugural Saskatchewan Cannabinoid Research Symposium" Dr. R. Laprairie et al in 2018. Stay tuned for details. Dec 7, 2017: CRIS Poster at 2017 Sante Awards evening: CARE-E to CRIS. How a pilot study led to the development of a provincial research program. Dec 1, 2017: Huntsman, Tang-Wai, Alcorn, Lyon, Mousseau, Seifert, Prosser-Loose, Newmeyer. CARE-E Study: CBD in Children with Refractory Epilepsy. Epilepsy Professional Magazine Autumn 2017.